Janelle In Real Life: florals for spring. Oh heyyyy there lovelies! Hoping your day is going fabulously! Today is going to be significantly better for me than yesterday... I had to go to the dentist and it was the worst. And then of course my mouth stayed numb for hours so I was drooling and lisping and looking like a fool. Spring styles are starting to show up in the stores (already?!) 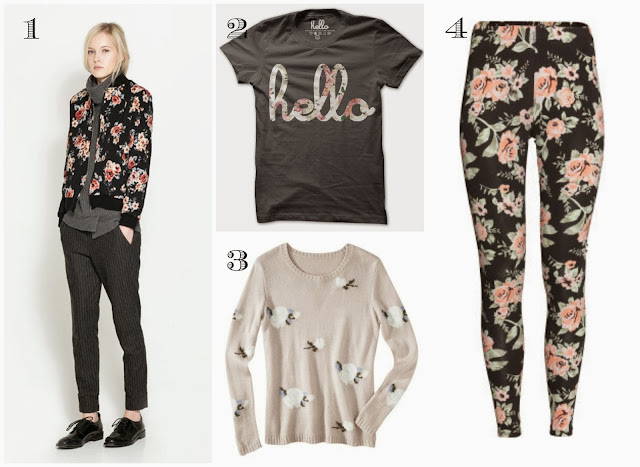 and one of the trends I've noticed is florals! I loooove floral prints and I'm having a hard time not wanting ALL THE FLORAL THINGS! This trend can feel free to stick around for a while. Loving all of these! And now I officially can't wait until spring! Go away, snow. I'm not the biggest fan of florals, but I can definitely embrace it in small amounts. Loving the floral sweater. A floral dress is a much. I've been searching for one that I really like for a long time now! Dropping by from Stylish Tuesday! I've been in love with florals since fall and I'm so happy the trend continues for spring! Love those pants. Literally OBSESSING over that hello floral tee! 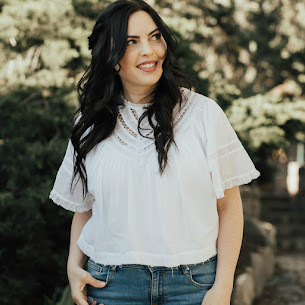 Thanks for linking up with Stylish Tuesday!